Kayle is killing it right now. Kayle has shot up to the highest winrate in League of Legends, according to recent data from analytics site champion.gg. In the platinum division and higher, her win rate has significantly increased since she was reworked earlier this month. She went from 49.65 percent win rate in patch 9.4, to 55.44 percent in patch 9.6. Kayle’s playstyle has been shifted, and this has alternated her presence in the meta. She went from being a gimmicky niche pick to one of the strongest scaling champions in the game. Her passive has been completely reworked and she now evolves as the game progresses. When she hits level 11, she becomes a champion with the potential to single-handedly carry her teammates. She’s completely level-dependent, but to counter this, she’s intended to be exceptionally weak in the early stages of the game. And while this is true to some degree, she has also proved to be more difficult to abuse in the laning phase than expected. This means she can sit back and ride out the early game until she scales in the mid to late game. She still lacks early kill potential, but she can just as easily sit by tower, farm minions, and build up a mountain of gold. Once she reaches level 11 and her Arisen passive comes into play, she immediately becomes a threat. This is due to her long range, and her bonus attack speed. By the late game, she’s an unstoppable hyper carry. Riot Games has responded to Kayle’s increased winrate and is looking to implement a serious of nerfs. 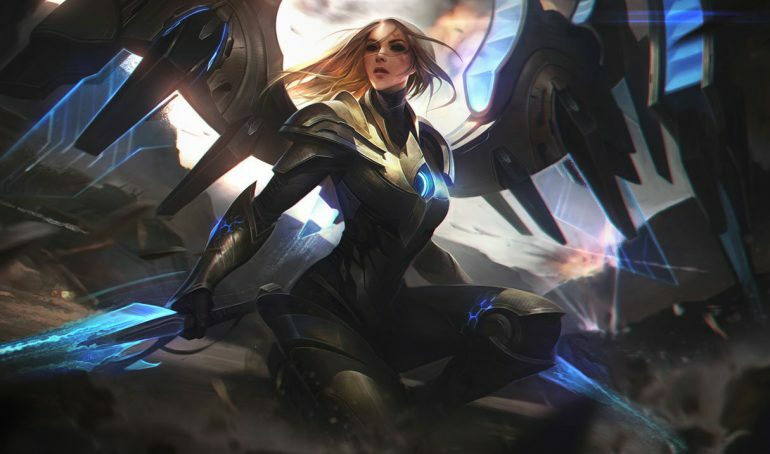 Kayle’s AP and AD scaling per level is scheduled to be decreased, and her default adaptive damage switched from AP to AD. This should impact her late game potential and position her to rely more on items, rather than her innate strength.